Meet all kinds of African Animals! 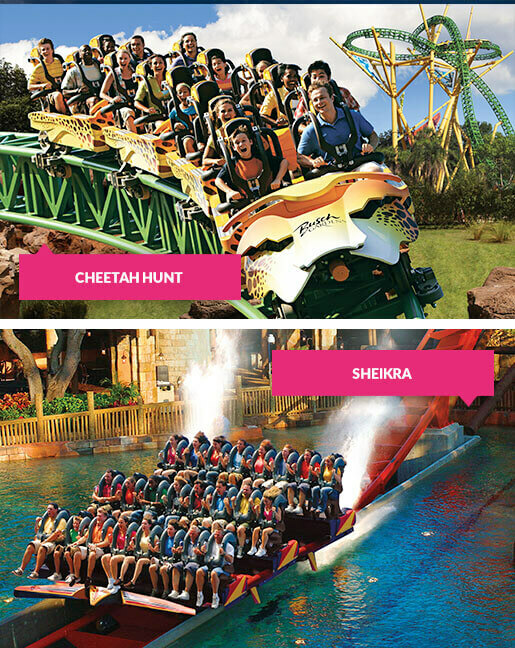 Get ready to let loose on some of Florida’s most epic thrill rides at Busch Gardens Tampa Bay! 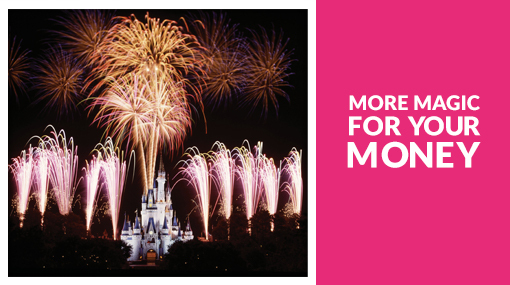 Home to over 2,700 wild and wonderful exotic animals, plus plenty of spectacular and hilarious live shows, this must-do theme park has something for everyone. Hold on tight as you slither and slide along this exhilarating ride! Do you have what it takes to ride the tallest freestanding drop tower in North America? Hold on tight and get ready to drop more than 300 feet at 60mph…FACE DOWN. 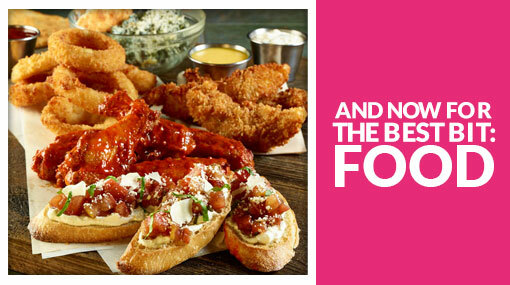 It’s definitely not for the faint-hearted! Just like a cheetah, this triple launch coaster reaches speeds of up to 60mph – now that’s what you call a head rush! This 200ft tall floorless dive coaster leaves you hanging on the edge of a 90-degree drop, before diving straight down into a 70mph whirlwind! 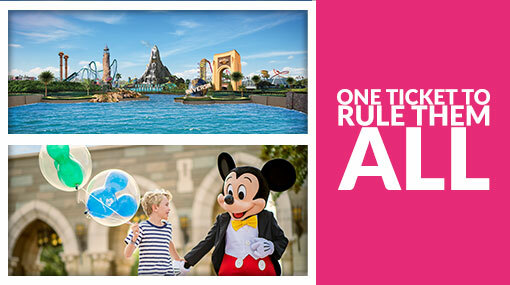 Busch Gardens is famed for its white-knuckle rides, but there are bucketloads of milder rides, shows and water attractions for the little ones too! 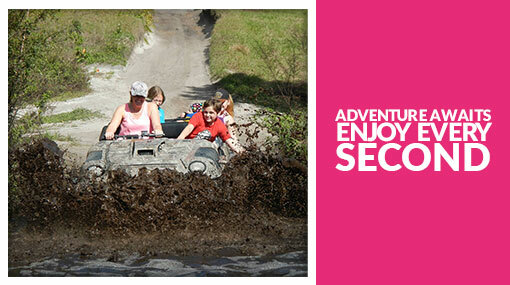 Hold on tight and get ready to slither around this awesome ride! 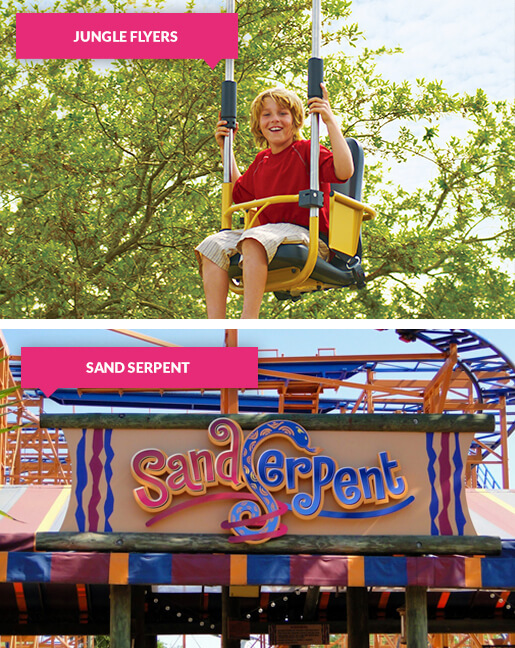 If you and your little one love tight bends, drops and corkscrews, the Sand Serpent is right up your street! 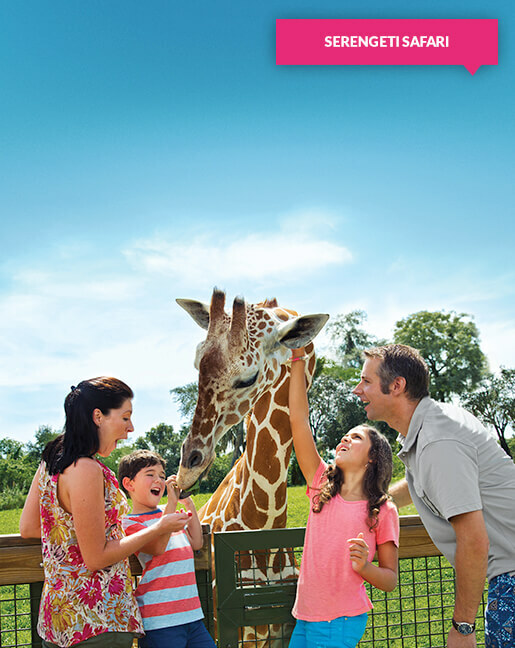 The animals are the stars at Busch Gardens! Don’t forget to check out your park map to find out what times you can meet the keepers! 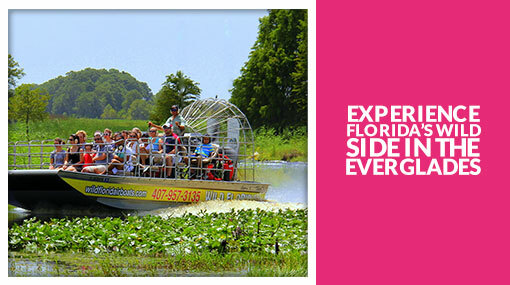 This wild adventure is the ultimate highlight of your experience at Busch Gardens! Say G’day to the animals of Australia! 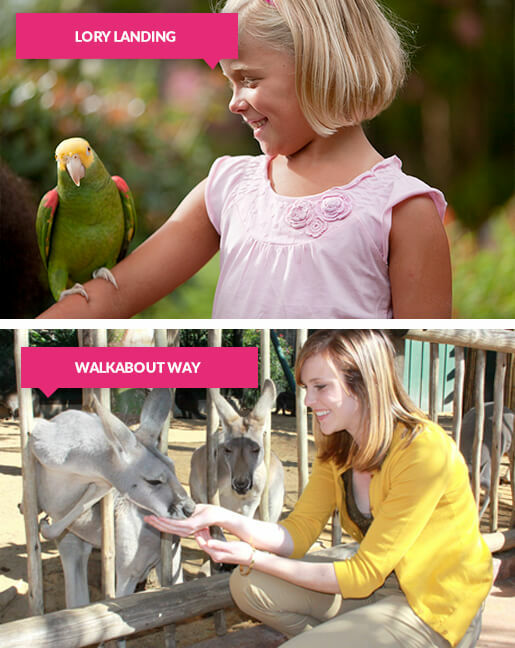 Here you can hand-feed friendly kangaroos and free-roaming wallabies, as well as meeting more creatures from down under such as kookaburras and tawny frogmouths. The animals here are most active in the morning and at dusk, so these are the best times to visit as you’ll have the best chance to hand-feed them or even pet them! Insider Tip: Check out the kangaroo feeding times when you arrive at the park, and ask the kangaroo keepers about bottle-feeding the baby kangaroos (known as joeys). Insider Tip: Don’t forget to pick up a cup of nectar on your way in to hand-feed the lorikeets! 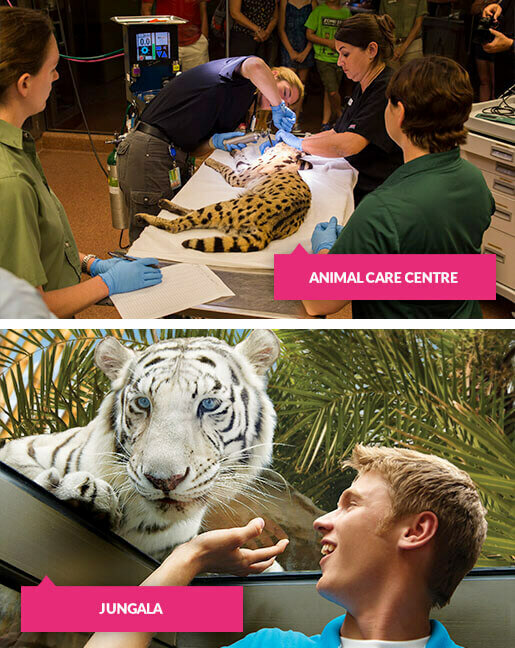 Get a first-hand glimpse of - and even take part in - the animal care at Busch Gardens! From nutrition to treatments, X-rays to surgeries, you'll be able to watch animal care first-hand in this state-of-the-art facility. Insider Tip: Check the keeper times on the back of your park map for feedings and special encounters! 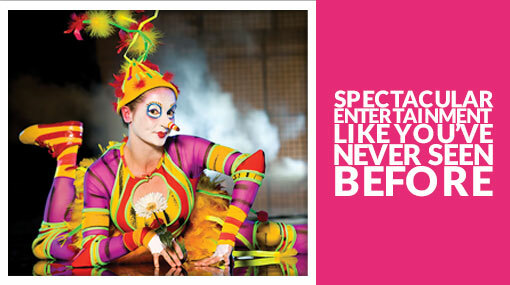 Enjoy live shows from world-class performers – along with a few rescued rising stars! Busch Gardens has live shows for all ages, from the laugh-out-loud antics of rescued pets starring in Opening Night Critters to the breathtaking performances on ice during Turn It Up! 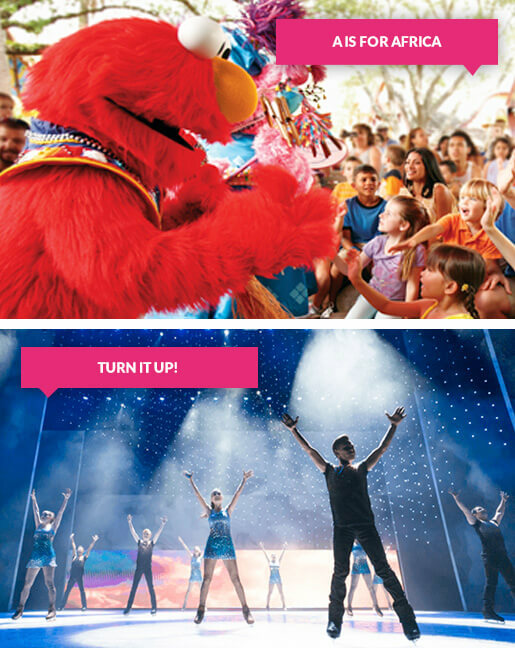 to the kid-friendly fun of Elmo Rocks! at Sesame Street Safari of Fun. 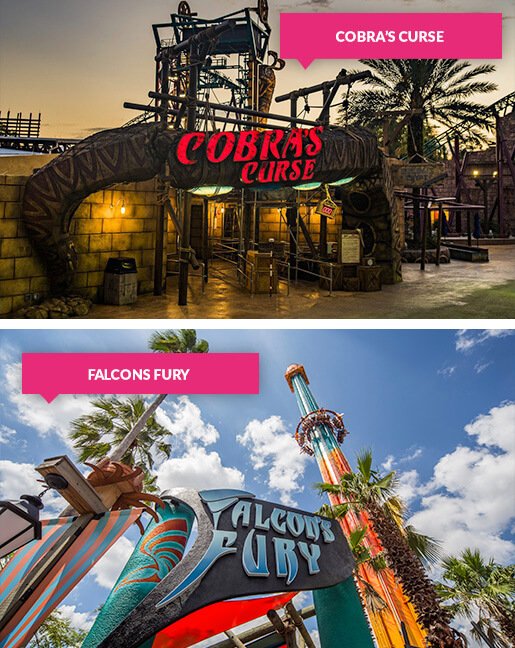 Dare you take on Florida’s tallest launch coaster?? Opening in spring 2019. Tigris® travels over more than 1,800ft as you race along steel track designed to mimic the awe-inspiring agility of the world’s most powerful cat – the tiger.